I feel like every time I post on here lately I start with an apology for lack of action. This week I have an excuse.....I promise! My little girl is quite unwell at the moment. She not only has an ear infection but also the horrible barking cough, better known as croup. The poor thing, it is so hard to watch and know that there is nothing I can do to help her. Lots of cuddles have certainly been helping.....I think. Anyway aside from that bad stuff I have to put up my love it or leave it post from The Block room reveals from last week. They are in their final room week at the moment and I have a feeling the reveals are going to be spectacular. Getting ahead of myself so lets get stuck into last weeks reveals. Love it....I think the boys did a fantastic job this week, there are a few points that I think they could have done better but overall, a great room. 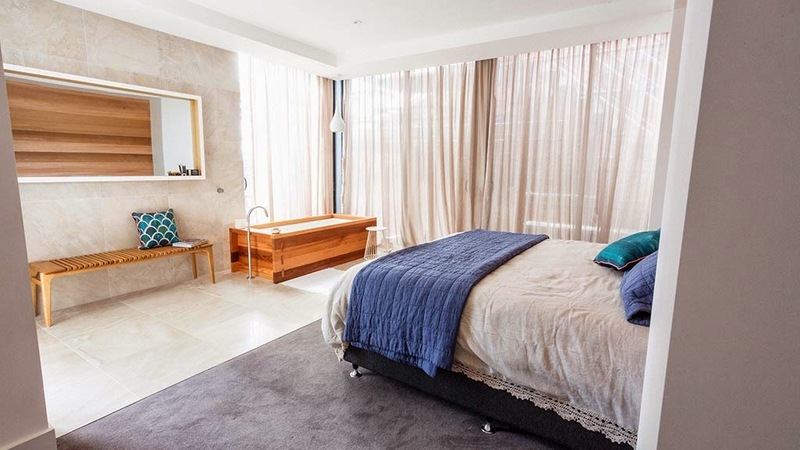 I love the idea of the bath in the bedroom! I don't know that I would put it in my own home but am very impressed that the boys did it. The drapes are beautiful, the mirror is amazing. I know the girls included this mirror in their room as well, but just love it! 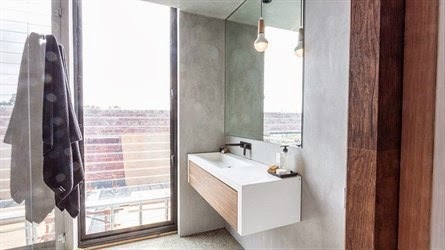 The bathroom is also really well done. Leave it....Apart from the fact that I love the bath in the bedroom, I think they could have done the wood paneling a little bit better and made it look a little bit more stylish. 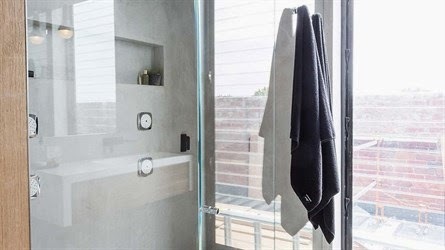 I don't like the way they did the wardrobe, simply not enough room and finally the glass door on the bathroom. Should have been a solid door simply for the fact that there is a toilet in the bathroom. Love it....I really like a lot of aspects of this room too. 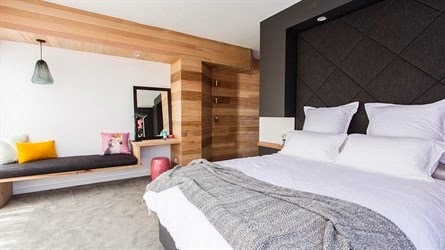 I really like the wood paneling in the room, the bedhead is fantastic and the bedside tables are really creative and well done. Leave it....Whilst I love a lot of the aspects of this room, I don't think they really work well together. I think this room has way too much to look at and it could be confusing on the eye. The wood paneling on one wall, the black wall and then the crazy tiles in the bathroom. 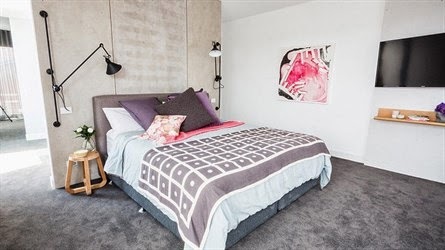 Chantelle and Steve have a bad way of mixing too many different themes and styles into one room. 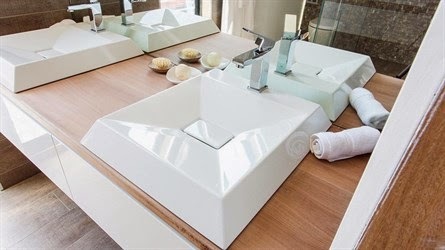 The look of the sinks is also pretty cool but I just don't see them as practical. 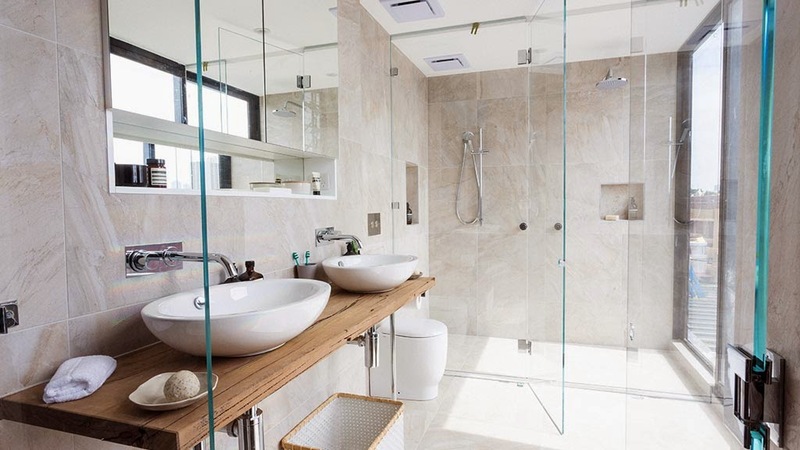 I could see water splashing all over the mirror as the basins just aren't deep enough. That's a lot of cleaning that I just don't need! Love it....Love the bathroom girls!!! The jets.....I would love to have a shower with them on! I really like the tile selection and the vanity selection, just beautiful. Leave it....What I don't like however is the wardrobe. 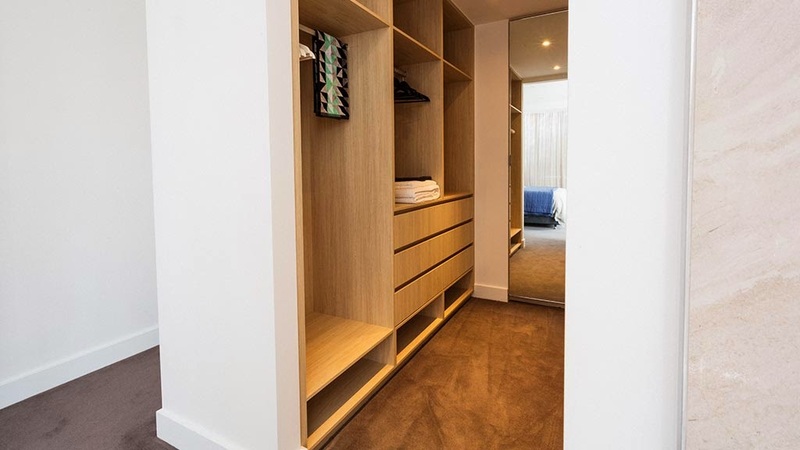 I think they were really great with the storage in the bedroom itself but I think they should have maintained the dark wood in the walk in wardrobe. I just don't think what they have completed is high end enough and just looks a little bit off. I think the girls can do a lot better than that! Love it....I like the lights beside the bed, they are pretty cool and a real feature. Leave it....I know they are called the Super K's but I just don't think this room was really their best. 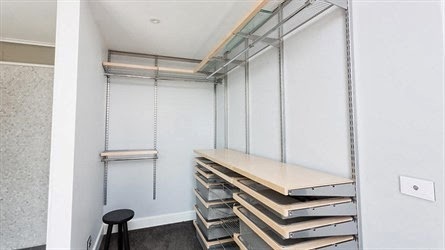 I think that the wardrobe looks a bit cheap and the vanity looks a bit stringy. 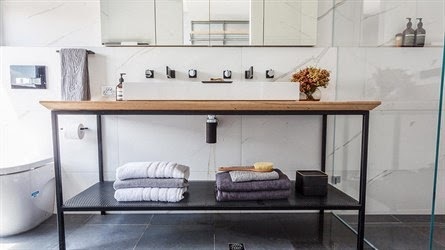 I think the black metal was a great idea but I would have made it a floating vanity with a black steel frame that was a bit thicker. 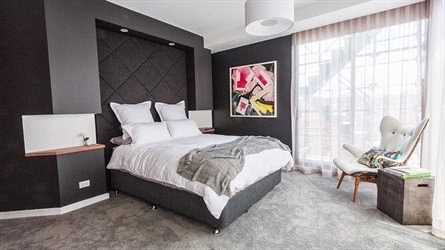 I hope that the television is on a bracket that pops out from the wall so it can face the bed, otherwise it is simply in a really bad position. 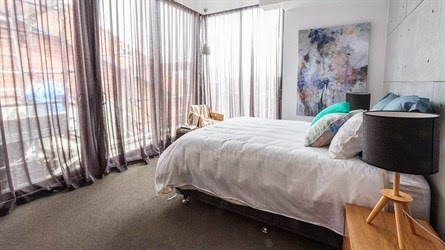 What do you guys love and what would you leave in these rooms. Please feel free to join the discussion and comment below.